Our favorite fix for smoothies, kombucha and acai bowls is offering great deals on gift cards on Friday, Saturday and Sunday. Get a free $20 gift card when you buy a $100 gift card; a free $10 gift card when you buy a $50 gift card; or a free $5 gift card when you buy a $25 gift card. They pick up and store your stuff, making it easier and more affordable than ever to get your home organized and clutter-free in time for all those holiday guests. Get 20% off your first three months of storage, plus free boxes, free pickup at your door and delivery when you need it back—just mention Black Friday when you schedule your pickup. Get a $20 gift card for every $100 in gift cards you purchase at each of these three restaurants, starting Monday, Nov. 20. Get 15% off sitewide on Black Friday and Small Business Saturday (including this cute dress!) at their online boutique, which features chic and versatile clothing and accessories by Naples designer Kristen Blabey. On Black Friday, find discounted pieces throughout the gallery, including a buy-two-get-one special on Oh Voila jewelry. On Small Business Saturday, they’ll offer special locally roasted coffee drinks and locally made baked goods. (They’re even celebrating Cyber Monday with discounted items, including jewelry, online at kunjaninaples.com. Now through Saturday, get Naples Soap Co.’s all-natural, handmade, organic, cruelty-free bath bombs for $2.99 and natural soaps and hair bars for $3.99. Plus, they’re offering in-store customer gifting stations with all the bells and whistles for just $5. Now until Christmas, get a $20 gift card toward products when a $100 gift card for services is purchased. Also, on Small Business Saturday, shop an array of custom Aveda gift sets at up to 20% off, and get a free Aveda gift with purchases over $50. 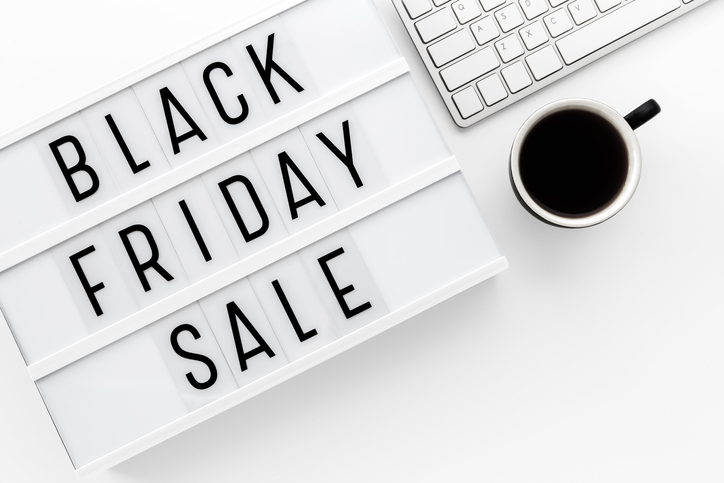 Plus, all day on Black Friday and Small Business Saturday, existing clients can get one month of unlimited classes for $125, and new clients get a month of unlimited classes for just $39. This tree-lined street is decked for the holidays and perfect for a stroll. John Craig (20% off any one item), Eileen Fisher (additional 20% off sale items), Gloss Salon (mimosas all day! ), Old Naples Surf Shop (free tote bag with qualifying purchase), Paradise Antiques (10% off storewide), Pierre & Harry (free jewelry cleaner with purchases over $100), Sara Campbell (25% off full-price apparel and an additional 50% off sale items), A Mano, Jett Thompson Antiques and Interiors, and Harmon-Meek Gallery will have special offers. On Small Business Saturday, every wine purchase gets you a free Tony’s Off Third corkscrew. Know of a local Black Friday or Small Business Saturday special we can’t miss? Share details in the comment section below!